Imagine there is no electricity, and no running water. 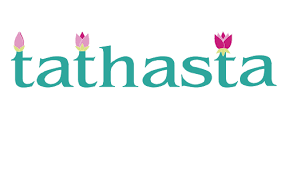 There are no cell phones, laptops, or televisions—no honking cars or blazing sirens. In the woods you would be one with nature, living simply and focusing on self-fulfillment, like a page out of Henry David Thoreau’s Walden. 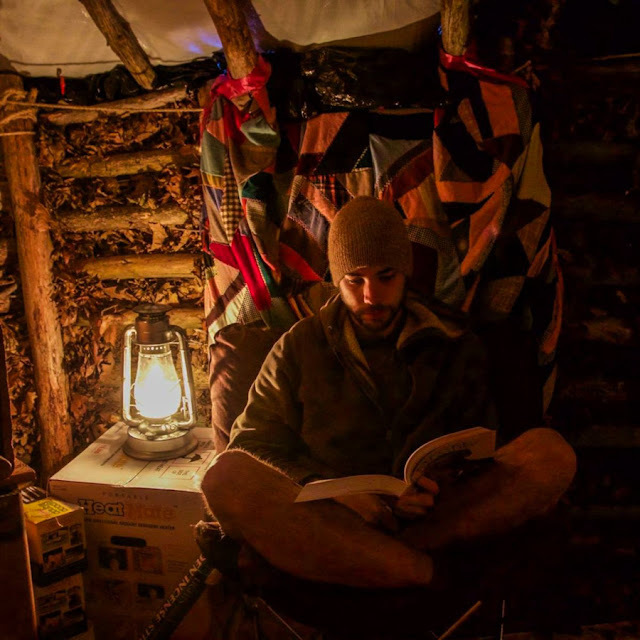 Inspired by the author he admires so much, Dylan Miller took to the woods for a school project, but what he gained was less about a grade on a paper and more about personal enlightenment. 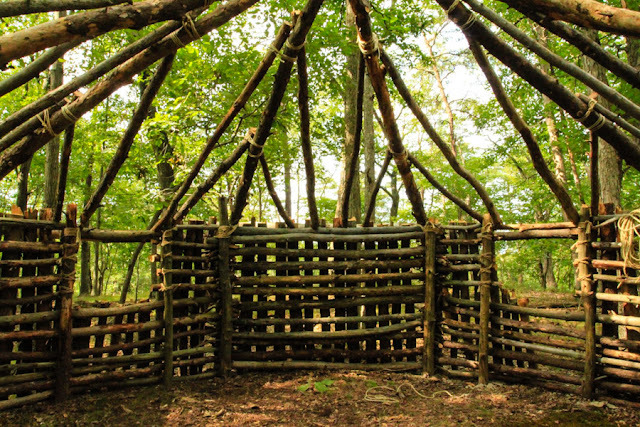 A senior at Juniata College in Pennsylvania, Miller has spent the last seven months living in a hut he built himself in the forest about a mile from his school. 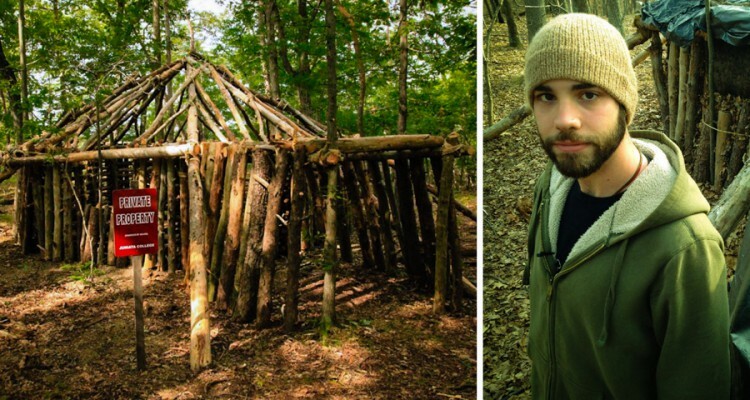 According to MTV News, he started the project in June 2014 as part of his final undergraduate project, called “Content with Nothing.” Miller designed and built the hut himself, which took nearly two months, with his friends helping out a few of the days. The hut is made almost entirely of trees, with donated wood planks used for the floors, fallen branches used for the walls and a tarp used for the roof. Miller didn’t use any power tools to assist with the building process, only a handsaw, which he told MTV News was challenging but rewarding. “I think if everyone started from where they were at and cut down on attachments to material goals and possessions, it would benefit the health of the planet and the happiness of its people,” Dylan said to MTV. 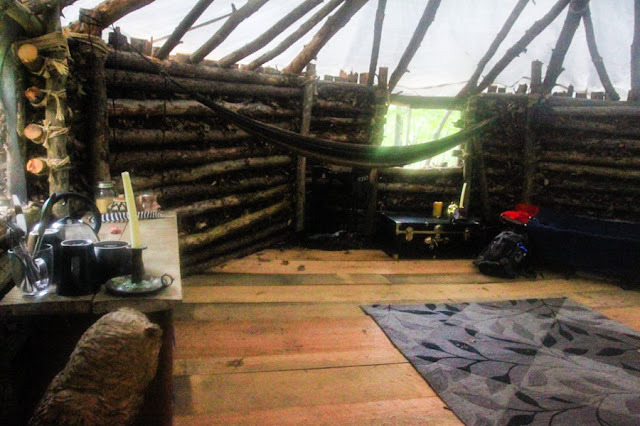 According to ABCNews, the hut is minimally furnished with a small kitchen table, a writing desk that Miller built himself, a small foldable bed and a chest for his clothes. He has a small cooking stove and outdoor fire pit that is used for cooking and he showers in the communal bathrooms on campus. Since he lives by candlelight, Miller uses the computers at school when needed for work. 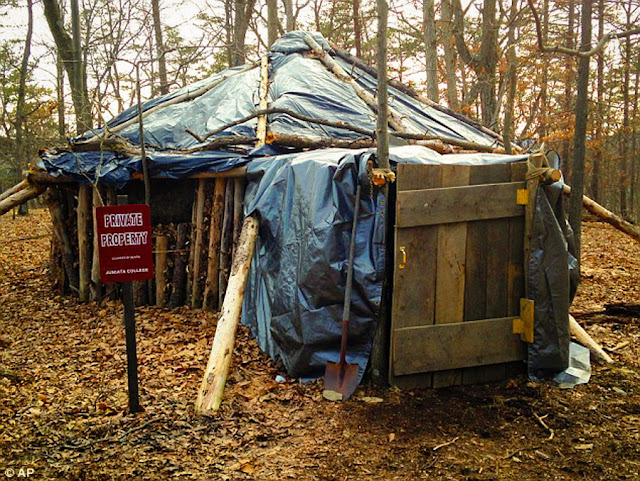 Since living in the hut, Miller has saved around $4,000 per semester. Although he’s enjoyed his time in the woods, after graduation Miller plans to tear down the hut and move into an apartment in town. While living in the woods may not be for everyone —Miller however remains cavalier when talking about run-ins with bears—the philosophy of the project is what he hopes people will take away.